I actually sewed on paper (while scrapbooking) before I ever attempted to sew anything made of fabric. That being said I never though about having my girls practice their sewing skills on paper. (Definitely one of those DUH moments!) With Spring break right around the corner it is a perfect time to print out these sewing activity sheets and get the girls familiar with the sewing machine. Heck, They might even be a good refresher for ME! 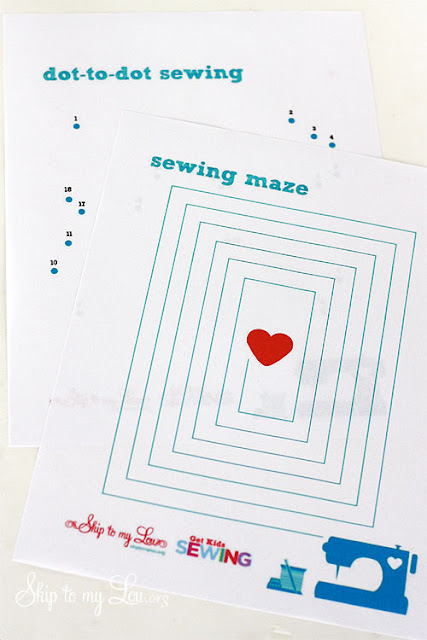 You can print out these sewing activities for kids over at Skip to my Lou. Oh what a great idea! Like you said - even for us grown ups. :-) As a newbie sewer, I never would have thought to practice on paper instead of fabric.